On April 22nd, I will be co-hosting a personal development and coaching workshop. 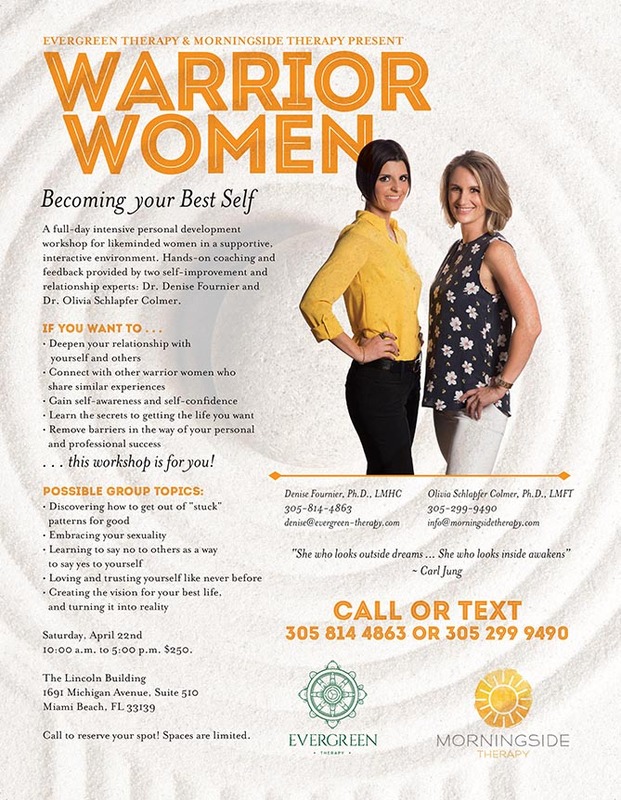 This is a wonderful opportunity to become your best self and connect with other women in a supportive and interactive environment. Spaces are limited - sign up now! Click Here To Download The Flyer! Copyright 2015-2018. Morningside Therapy, LLC. All rights reserved.